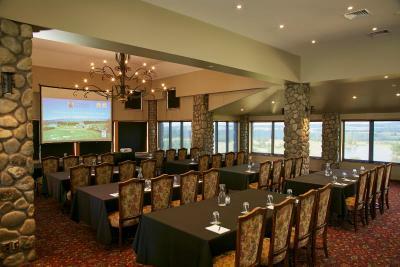 Lock in a great price for Terrace Downs Resort - rated 9 by recent guests. It is what it looks like in the photos. I wouldn’t usually give a review but this place with the views was worth the extra money. Not the cheapest but worth the stay for one of those picture perfect get aways. The whole property was great, we came to golf and we did, on a very nice golf course. The location of our unit on the golf course was great. The unit had all we needed. as far as 2 bedrooms, 2 baths and a well equipped kitchen. 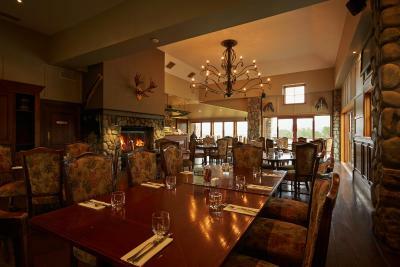 The on-site restaurant at the clubhouse was great with a wonderful view of the property. The view, particularly at sunset, was stunning. The room; clean, comfortable and spacious. The complimentary snacks were a nice touch. The view is just out of this world. We were given fresh bath towels every day we where there. In our villa we had a washing machine and a dryer, which was really useful. 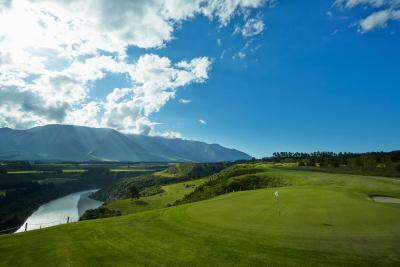 Every room faces the mountain, and if you're into golf like my husband, you won't be disappointed by their golf cause. This location we choose for our New Years eve as the first part of our holiday, it was quiet, no kids. Just what we needed after a hectic year. Summer time at this ski resort is super quiet, I would recommend for couple. Food was very good value and of a high quality. Staff very friendly. Would come back with family for another stay. 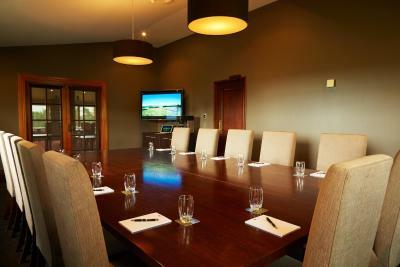 Excellent location, with beautiful views and on-site access to a challenging golf course. The unit provided ample space for two couples, each having their own separate ensuite bedroom. 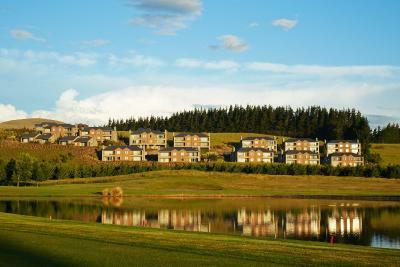 Situated in the picturesque Canterbury Plains region, Terrace Downs Resort features 2 restaurants, a golf course and a day spa. The villas have open-plan living spaces with gas fires. Guests enjoy free on-site parking. 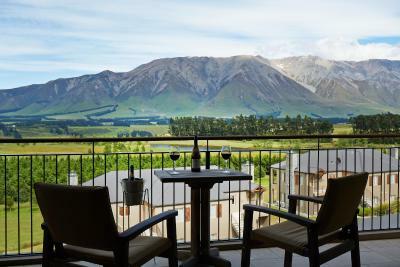 Hunter's serves a menu of local produce and offers panoramic views of the mountains. The Cafe serves brasserie-style cuisine on the terrace. 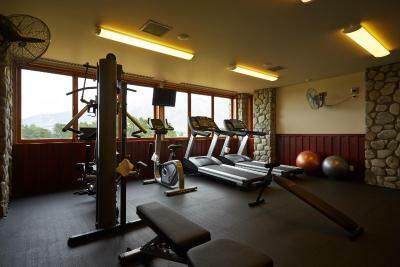 Terrace Downs Resort also has tennis courts, a fitness centre, horse riding and massage facilities available onsite. 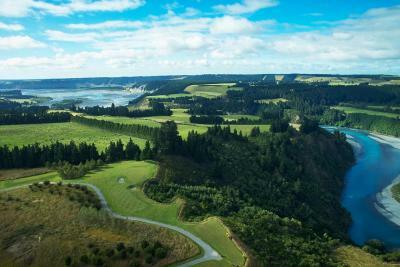 On-site activities include jet boating, clay-bird shooting, archery, mountain biking, golfing, quad biking, four-wheel-driving and fishing. 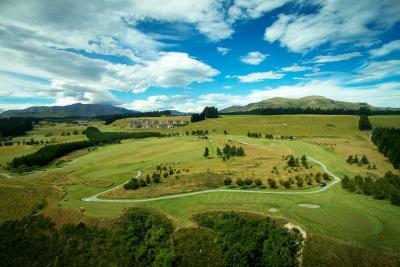 Terrace Downs is a 50-minute drive through the countryside from Christchurch International Airport. 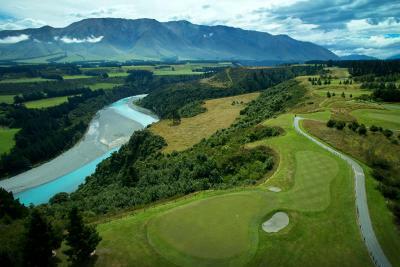 Lake Coleridge is a 25-minute drive away. 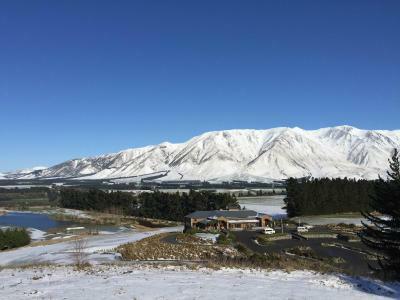 It is a 15-minute drive to Methven and Mt Hutt Village. 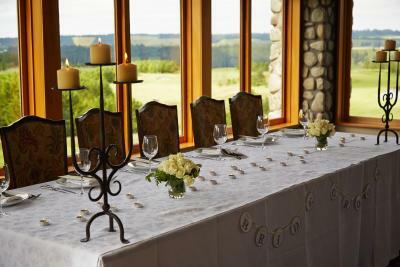 Terrace Downs Resort has been welcoming Booking.com guests since 23 Feb 2010. When would you like to stay at Terrace Downs Resort? This villa features a double spa bath and a private balcony with views of the mountains and the golf course. It also includes a fully equipped kitchen and a living/dining area with a gas fireplace. Please note the king-size bed can be split into 2 single beds. Please submit your preferred bedding in advance using the contact details found on the booking confirmation. Please note all requests are subject to availability. This villa features a spa bath and a private balcony with views of the golf course. It also includes 2 bathrooms, a fully equipped kitchen and living/dining area with a gas fireplace. This 4-bedroom chalet is a separate luxuriously designed house set among the front 9 holes of the golf course. 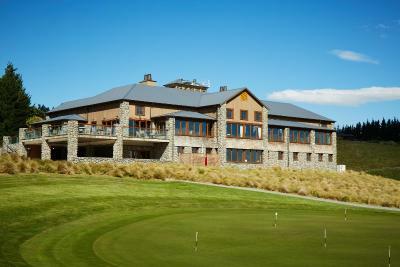 The chalet boasts modern appliances and indoor/outdoor living areas with stunning views over the golf course to Mt Hutt. This villa has a flat-screen TV, CD player and DVD player. House rules Terrace Downs Resort takes special requests - add in the next step! Terrace Downs Resort accepts these cards and reserves the right to temporarily hold an amount prior to arrival. Please note that the property does offer free WiFi, however, due to the properties location and weather conditions, please be aware that this service is not always possible and the connection is sometimes unreliable. If you expect to arrive after 17:00, please inform Terrace Downs Resort in advance, using the contact details found on the booking confirmation. 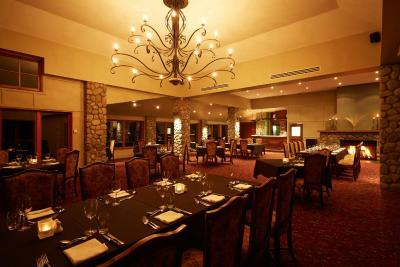 Please note that meal times are based on availability and guests will be contacted by Terrace Downs to confirm times. Please note that some of the villas are currently undergoing maintenance. You may experience minor disruptions. For more information, please contact the property using the contact details found on the booking confirmation. The unit (23) was not clean inside or out. We checked in after a round of golf. In particular there was branch debris at the front entrance which was difficult not to drag into the unit. There were dead flies on the carpet floor, mirrors that you would write in the dust and an oven tray rack had charred food on it. We opened a window to find cobwebs around the opening.The patio chairs were unstable and not safe to sit on. In our opinion this unit had not been cleaned in some time. I reported the front entrance debris to reception after the first night, she said this would be cleaned however it was not done. I reported it again on the second day, but again it was not cleaned. The golf course was great but for the 3 days we golfed, the carts were not clean with mud. The reception staff could be more professional. The chef at night needs some help. The steaks were really tough both nights. The breakfast was great, eggs B. was cooked perfectly. I wish the breakfast was as good as the dinners. We were so taken with the resort we stayed an extra night. Two curiousities occurred; a) housekeeping did not visit our room and b) We only had breakfast at the cafe, which was very good, as the restaurant/ bar was closed when we arrived for dinner at 8.45pm; even though the compendium advised it was open until late. 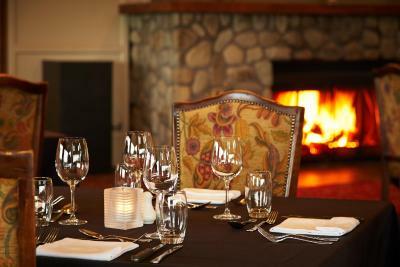 We would recommend making a dinner reservation to avoid disappointment. Lovely place to stay, very quiet and peaceful.